The redevelopment of Brook House for flats is proving to be a serious concern for all those who love Mitcham Cricket Green Conservation Area. When finished there will be nearly 50 new flats and they are already being marketed as far away as Hong Kong. The principle of converting the building from offices to flats isn’t something Merton Council or we can do anything about. The Government has introduced new freedoms which allow this to happen without needing a planning application. But there is a great deal that can be done to reduce its impact. 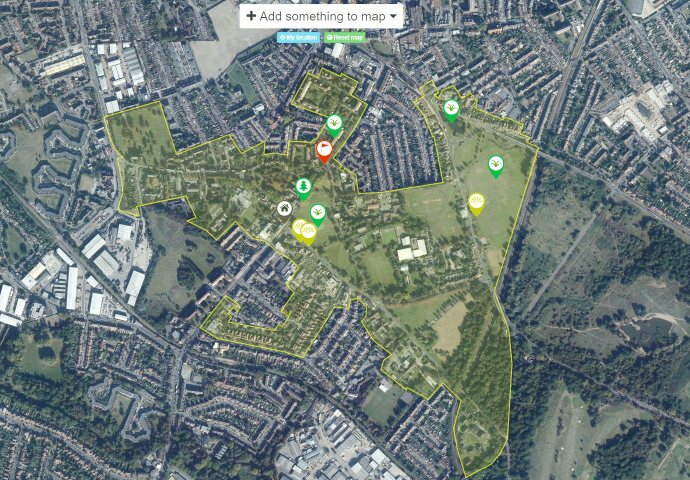 In the work done so far the developer has shown little respect for either the local community or the prominent location at the heart of Mitcham Cricket Green Conservation Area and fronting the oldest cricket ground in the world. 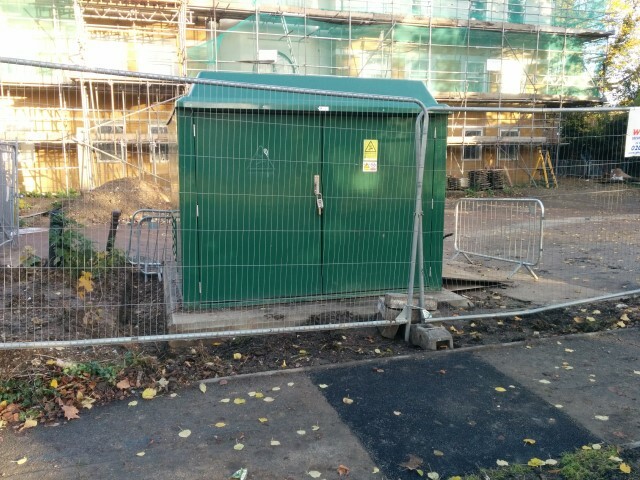 A large substation has been erected without consent in the most prominent and unacceptable location, the historic Cold Blows footpath has been damaged, trees have been threatened, not least through the digging of destructive trenches that have been lined with metal, and the sensitive roots of mature trees being left exposed to frost. Spoil has been left and a floodlight erected. Much of this unauthorised activity has taken place on public land as well as that within the site curtilage. Now we are faced with an application for claimed “minor works” such as a substation, bin store, access gate, railing and external lighting. Each of these is anything but minor given the location and has the potential to have a significant and negative impact on the Conservation Area where new development must by law “preserve or enhance” its character. Yet the information provided with the application provides next to no information on any of the different “minor works” cited. The application also fails to include details of the tree works that have been undertaken, without authorisation, on the site. A further omission is the intrusive white street cabinet erected on green space in front of Brook House. This has been erected as a result of the residential demand which will result from Brook House’s conversion. We are unaware of any prior notification for this cabinet or that permission has been given. It should be relocated to the rear of the building and more appropriately coloured – this is within Merton Council’s power under the prior notification procedures. We believe the information provided with this application falls well below the standard required, especially in a Conservation Area, and we believe the application is not fit to be determined. As a result the application should be refused unless further information is provided and the application is re-advertised. Presents a clear planting plan, specifying the species and location of plants and hedges and how they will be maintained in perpetuity. This entry was posted in Cricket Green Conservation Area, Planning Applications on November 20, 2016 by mitchamcricketgreen.